Indian shooters returned empty-handed from ISSF World Cup Rifle/Pistol stage at Munich with the country’s mixed team pairs failing to qualify for the final of the 10m air rifle mixed on Monday. On the concluding day, the pair of Apurvi Chandela and Ravi Kumar shot a combined score of 836.8 to end 11th in the qualification standings while the second Indian pair of Mehuli Ghosh and Deepak Kumar finished 20th with a combined effort of 835. In the 10m air pistol mixed team event, Heena Sidhu and Om Prakash Mitharval were the best finishing Indian pair, scoring a combined 767 to end in 13th position. Manu Bhaker and Shahzar Rizvi shot 758 to end 34th. The Russian pair of Sergey Kamenskiy and Anastasiia Galashina notched up the fifth and final qualifying spot with a score of 838.2, going on to win the gold, ahead of two Chinese pairs who won silver and bronze respectively. Athens Olympic champion and three-time Olympic medalist Olena Kostevych of Ukraine emerged as the star of the fourth and final ISSF World Cup winning the concluding 10m air pistol mixed team event to register a three-gold blitz at the competition. China topped the medals tally with three gold medals, the same as Olena won for her country, but an overall 12 medals meant that the Asian powerhouse came away with the bragging rights. 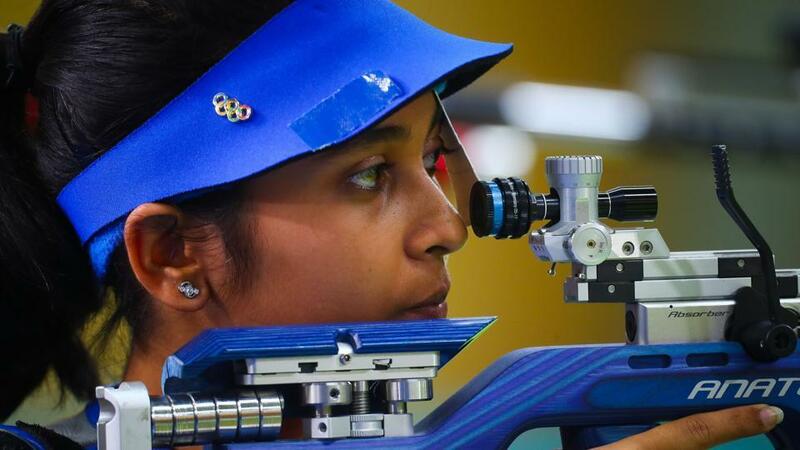 Indian shooters made it to three out of 10 finals through Apurvi Chandela, Anjum Moudgil and Om Prakash Mitherval at Munich’s historic Olympic Shooting Range and even though the first two came agonizingly close, a medal eluded India in this World Cup stage. The world’s top rifle and pistol shooters will now turn their attention to the most important event of the year scheduled a little over three months from now — the ISSF World Championship for all events (rifle, pistol and shotgun). What is considered the pinnacle of international sport shooting by the world’s top shooters, the World Championship, organised every fourth year and two years after the Olympics, is scheduled to begin in Changwon, Korea in end August. It will also kick off the Olympic cycle and the first quota places for the Tokyo 2020 Summer Games will be up for grabs at Changwon.